Agriculture remains an important part of the Lao PDR economy, and government leaders have recognized the sector as a key driver for reducing poverty. As part of the GMS program, Lao PDR is working to improve food security and cross-border agricultural trade, as well as reduce trans-boundary animal disease and foster climate change resilience. The ultimate goal is to improve the lives of people in rural areas, and foster economic development. In the area of energy, Lao PDR is a leader in the Greater Mekong Subregion. Today, Lao PDR supplies 100 percent of its domestic power needs through hydropower, and derives substantial economic benefit from selling excess power to its GMS neighbors. The Lao PDR Government has recognized that providing widely available and affordable energy to people in both urban and rural areas is important for economic development and poverty reduction. Though diversification is underway, Lao PDR’s economy is primarily resource-based, so environmental sustainability is vital. As Lao PDR’s economic activity has increased, protection of the country’s environment has become increasingly important. Lao PDR is working with its GMS partners to establish biodiversity corridors, and protect critical ecosystems. The Lao PDR Government is working closely with its GMS partners to improve education and health, and better develop human resources in the country. This has included vocational training programs, as well as work to improve the skills of the country’s health care workers. GMS-supported programs to control communicable diseases and to improve government officials’ management abilities are also underway. Lao PDR is using mobile and fixed telephone communications, as well as the Internet, to promote human resource development, research, business, and infrastructure development, and to enhance the country’s education system. Telecommunications access is being expanded into remote rural locations, including areas where vulnerable minority groups can benefit. Lao PDR has seen a rapid increase in tourism in recent years. Its rich cultural and natural sites are attracting a growing number of visitors. Top destinations include Luang Prabang, Champasak, Vientiane, Vang Vieng, and Savannakhet. Direct flights between Cambodia’ Angkor Wat and Luang Prabang are an example of the efforts underway to link GMS tourist sites, and package them as a single destination. Lao PDR’s strategy is to develop tourism in order to generate jobs, protect natural cultural heritage, and reduce poverty. The Government of Lao PDR is actively encouraging trade and investment with its GMS partners. It has worked to enhance cross-border trade, and has been active partner in the development of economic corridors using transport infrastructure to drive trade and investment. In the area of transport, Lao PDR has developed better highway connections with Cambodia, PRC, Thailand, and Viet Nam. The country is a vital link in several of the subregion’s major economic corridors, including the North-South Economic Corridor, which spans from Kunming to Bangkok via Lao PDR, another North-South Corridor which traverses Kunming, Mohan, Luang Prabang, Vientiane, Thakhek, Phnom Penh and Sihanoukville, and the East-West Corridor, which stretches 1,500 km from Mawlamyine in Myanmar, to Da Nang in Viet Nam, passing through Savannakhet-Dansavanh in Lao PDR. Through these transport corridors, Lao PDR is transforming itself from a landlocked into a land-linked country, using its location at the center of GMS to facilitate trade and investment from other countries in the subregion. This is the summary of proceedings from the second meeting of the Greater Mekong Subregion Working Group on Health Cooperation (WGHC-2) in Yangon, Myanmar on 10 to 11 December 2018. The ASEAN Infrastructure Fund has launched an “Inclusive Finance Facility” to provide concessional financing for critical infrastructure in three countries in the Greater Mekong Subregion—Cambodia, the Lao People’s Democratic Republic, and Myanmar. 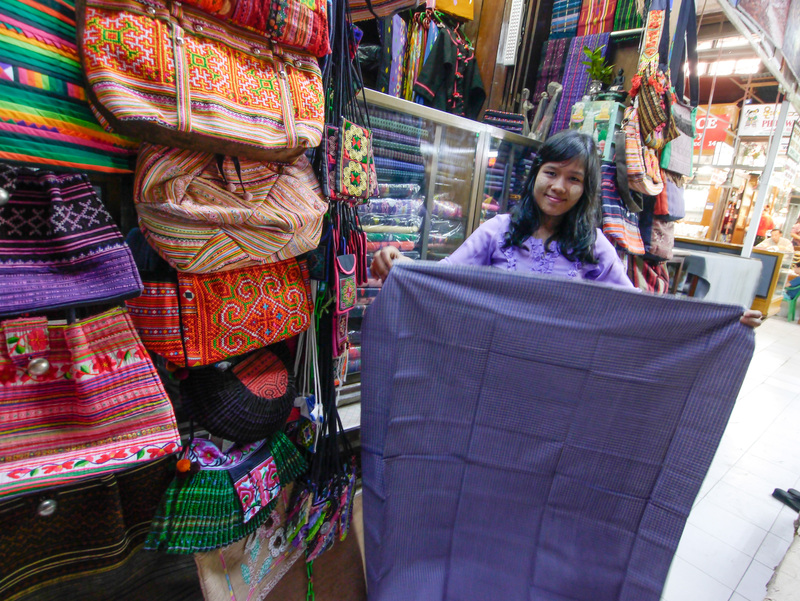 A shopkeeper shows off merchandise at a market in Yangon. Strong domestic demand will offset weaker export growth in Southeast Asia. Photo: ADB. Southeast Asia will sustain growth at close to 5% this year and next, according to a new Asian Development Bank report. 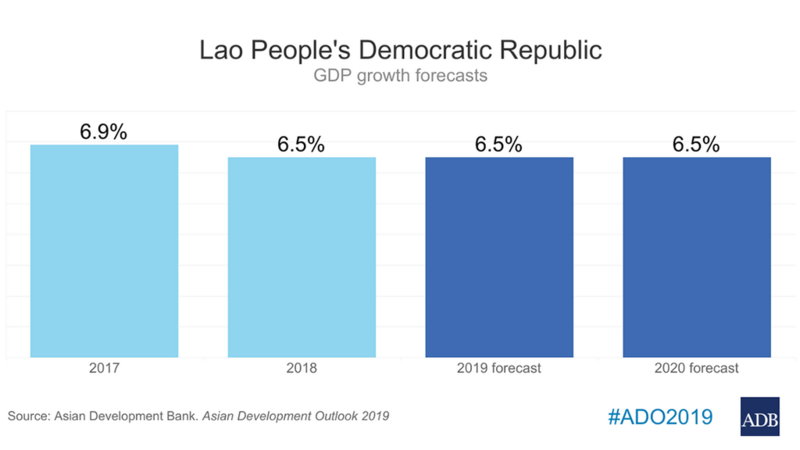 VIENTIANE, LAO PEOPLE’S DEMOCRATIC REPUBLIC (3 April 2019) — Economic growth in the Lao People’s Democratic Republic is expected to remain stable this year and next, supported by the expanding agriculture, energy, industry, and services sectors. The Lao People’s Democratic Republic has signed an agreement with Electricité du Cambodge to sell 200 megawatts of electricity to Cambodia until 2021. In a participatory guarantee system, farmers test and certify each other’s produce. Photo: ADB. Pilot projects in the Greater Mekong Subregion are helping increase small farmers’ income by enhancing their access to the lucrative organic food market using a community-based certification system. This publication provides an assessment of the agriculture, natural resources, and rural development sector in the Lao People's Democratic Republic and explains the country's and the Asian Development Bank's strategic investment priorities. 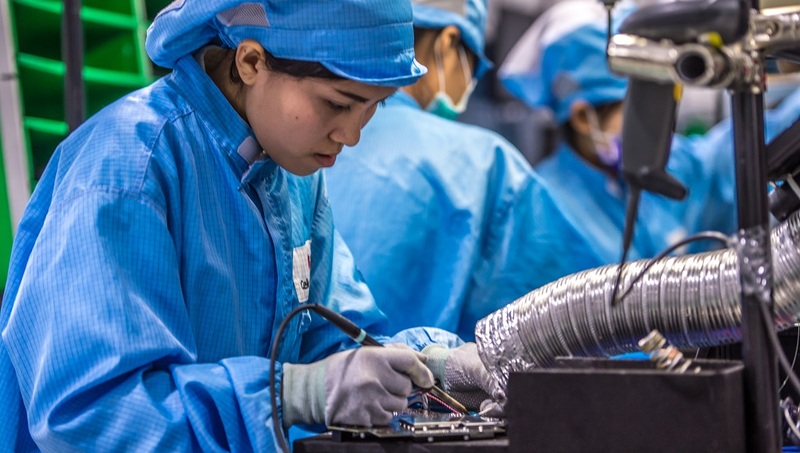 Technicians and workers assemble electronic products for export at a special economic zone in the Lao People's Democratic Republic. Photo: ADB. The Asian Development Bank has published economic statistics for analyzing cross-border production arrangements in Southeast Asian countries, including those in the Greater Mekong Subregion. This report presents the findings of the assessment of the Lao People's Democratic Republic component of the Greater Mekong Subregion economic corridors. 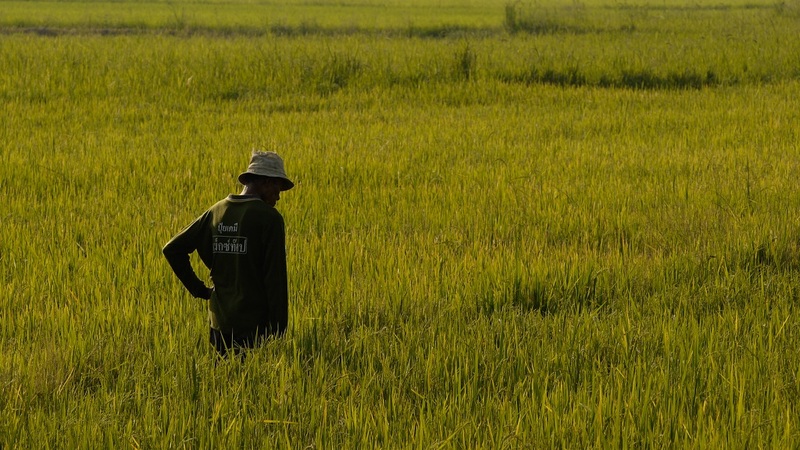 Rice plays a key role in food security and economic growth in the Greater Mekong Subregion. Photo: ADB. 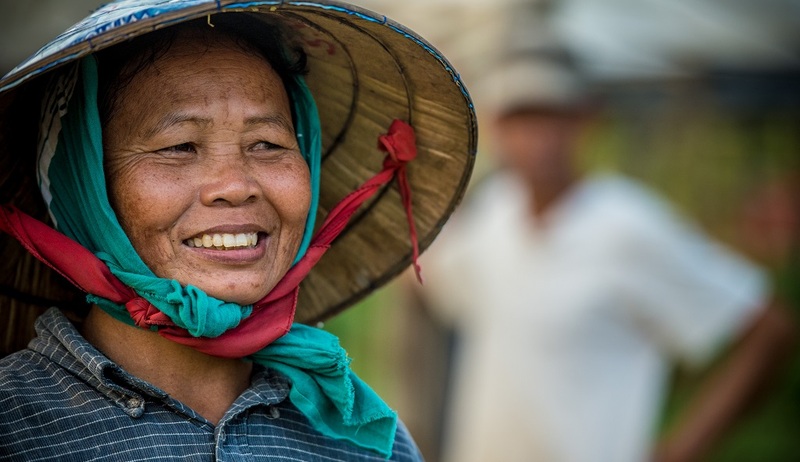 A pilot project in the Greater Mekong Subregion explored the use of satellite technology to improve the collection of paddy rice statistics to support better policymaking.